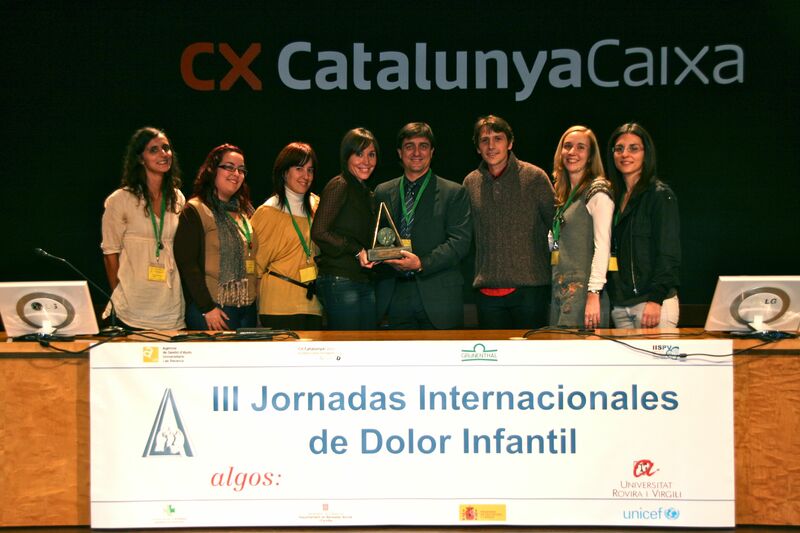 The First ALGOS-Grünenthal Award for work to combat pediatric pain was awarded to the Pediatric Palliative Care Unit at the Niño Jesús Children’s University Hospital in Madrid. This unit aims to “improve the care and the quality of life of pediatric patients with a terminal condition or a lethal prognosis of a disease and that of their families in a comprehensive and personalised manner, ensuring respect for their dignity and their right to personal autonomy”, states Ricardo Marin, Unit Co-ordinator. The photograph shows a member of the unit receiving the prize in 2011.